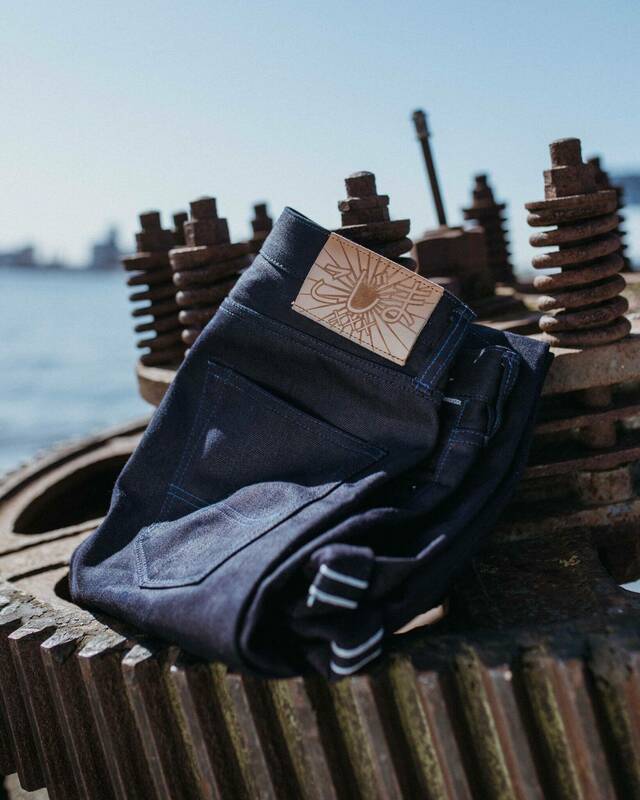 Phi Denim, a French-Japanese denim brand that holds a deep passion for the purity of materials and jeans manufacturing techniques, just released their latest pair of jeans on Kickstarter. The new black PHI03 is made of 12oz black denim fabric from Nihon Mempu Mills and is made entirely in Japan. 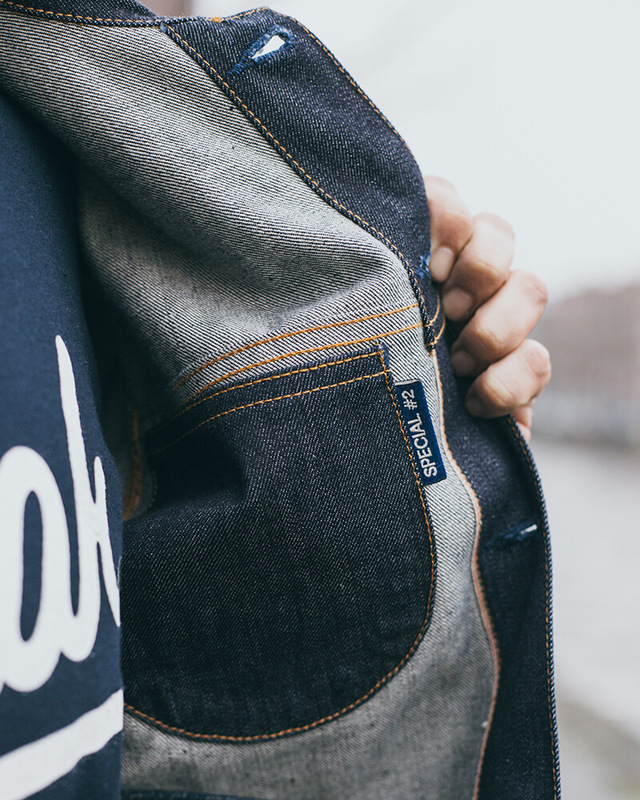 Backing their project on Kickstarter will give you the limited jeans for an exclusive price. The PHI denim ‘dream-team’ is formed by four guys from Japan and France, sharing the same enthusiasm for denim, sports, and Japan. They work every day across the world, transforming their codes and customs into new designs. By exploring the markets in Tokyo and Paris, they are always looking for new antique kimonos and fabrics, which they can transform into a new design. PHI denim is always on the lookout for enriching collaborations, new unique designs, and progressive manufacturing techniques. The production of PHI takes place in the heart of Kojima, Okayama, Japan. 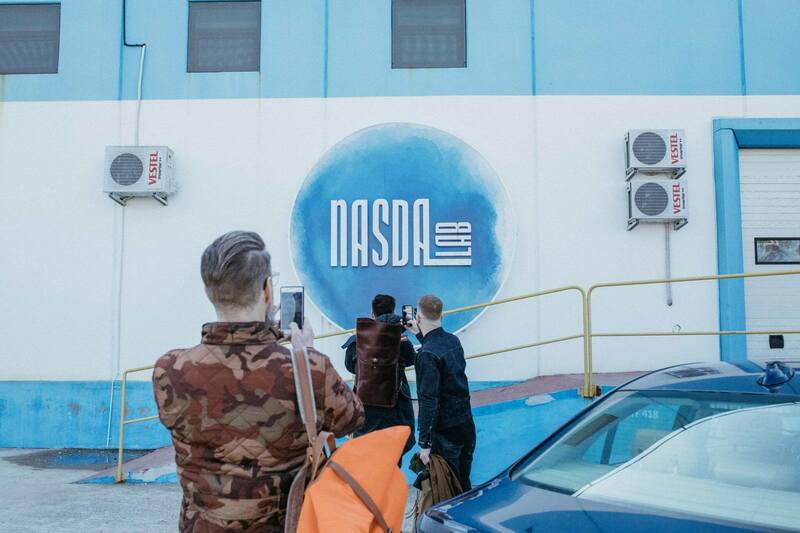 This place is considered as the holiest of holies in the denim culture. 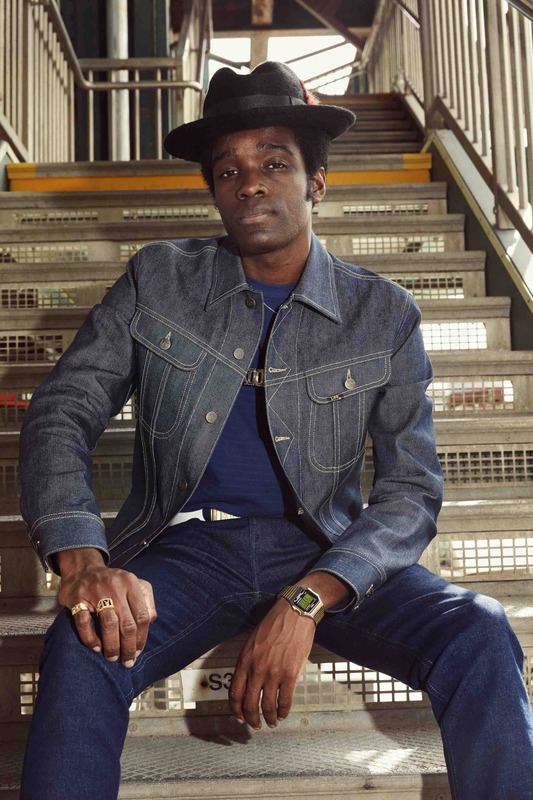 The entire assembly process includes all the traditional building codes of Japanese denim such as chain stitching, hidden rivets reinforcements, rivets and buttons like donuts made of pure copper, and belt loops sewn into the waistband. Every item is made with an emphasis on materials and technique, and, when finished, signed and numbered by the craftsmen who made it. 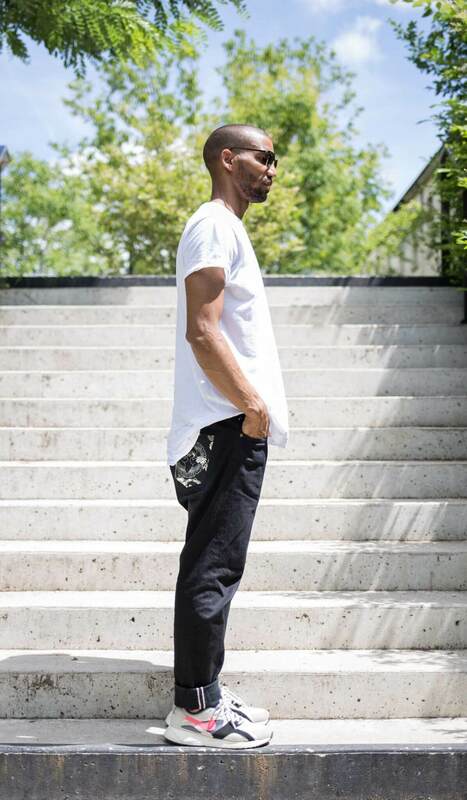 The PHI03 is a relaxed tapered fit, and comes in a 12 oz. 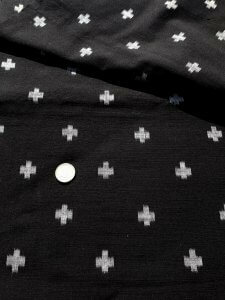 black denim, that is woven by Nihon Menpu, in the Okayama prefecture, of 100% US cotton. 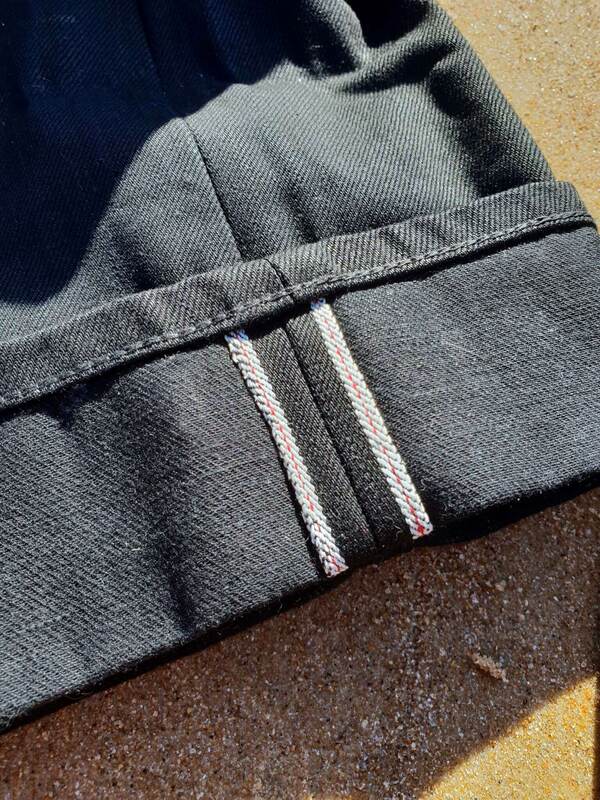 The high-quality fabric is, of course, woven on old shuttle looms and features a redline selvedge ID. As to the construction, Phi made sure that this pair of jeans will pass the test of time and wear. By reinforcing the crotch and using a strong thread, the denim pieces will hold themselves together. 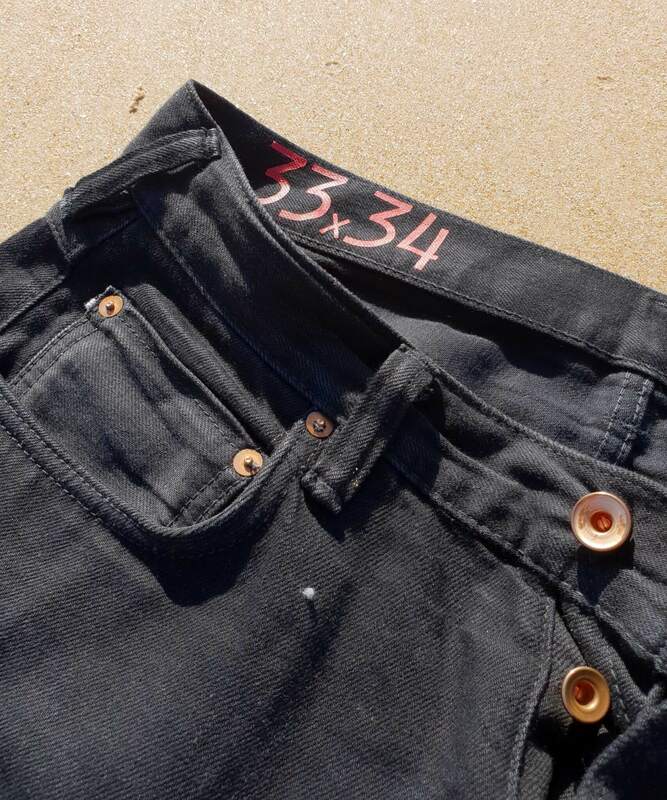 The jeans are reinforced with copper rivets, and stitch point to improve the durability even more. 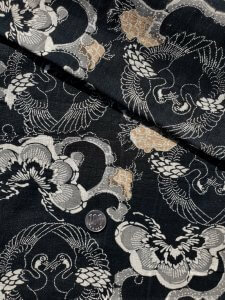 Thé most distinctive signature of PHI denim is the kimono back pocket. By using vintage Japanese kimonos and modern techniques, PHI found a way to express their vision and beliefs. It is this alchemy between the past and the present that PHI uses to give the essence to their jeans. 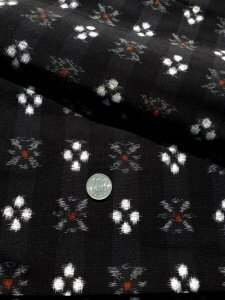 Depending on the state of the Kimono, the number of pockets made from one kimono can go from 4 to 22 pieces maximum, making every style highly limited. 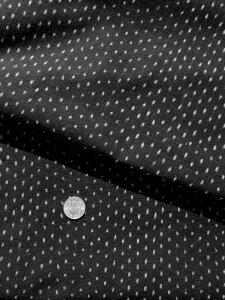 The Kimono pocket is reinforced by a band of bonded laser denim fabric. Once you have purchased a pair of jeans on Kickstarter, you can choose one of the three vintage kimono styles, which you will find below. Head over to Kickstarter, and be one of the lucky ones getting their hands on the PHI03 for a reduced price. Swing by at phi-denim.com for more information about the brand, and their extraordinary vision on denim.